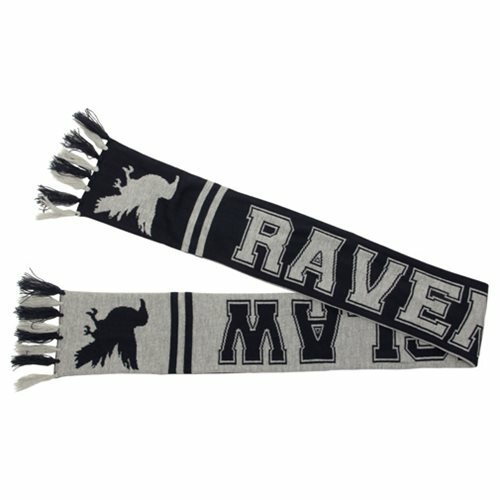 Your ready mind and sharp wit will be on display when you wear this Harry Potter Ravenclaw Reversible Knit Scarf. This Ravenclaw scarf is fully reversible and made of high quality soft silver and blue polyester. One side is solid silver and sports dark blue bands with a blue heraldric Raven. Switch to the second side for a solid blue look with fully detailed silver Ravenclaw lettering. Measures about 64-inches long. Ages 14 and up.